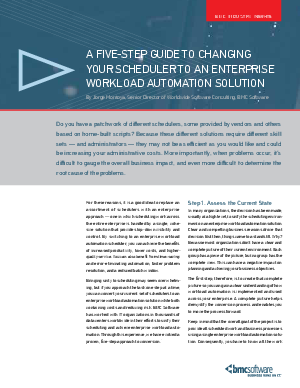 A patchwork of job schedulers can cause many inefficiencies, hindering IT's ability to serve the business. An enterprise approach solves these issues and adds new value. Five steps can take you from a costly mishmash to benefits like increased productivity, lower costs, and better service.